North Kelvin Sports Development Group will celebrate it's 20th Anniversary this year. 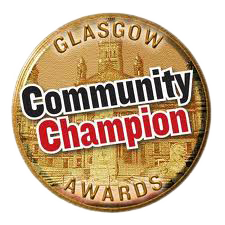 We are kicking the celebration off by hosting a Dinner & Awards Evening at the Glasgow Grosvenor Hotel on Saturday 18th May 2019. REGISTRATION NOW OPEN FOR OUR EASTER FOOTBALL CAMP! NKSDG are hosting their Easter Football Camp again this year! We are delighted to announce that the Easter Football Camp will take place in partnership with Sense Over Sectarianism. Boys and Girls aged 5-12 years are welcome at Garscube Sports Complex this Easter from Monday 1st April to Friday 12th April from 10am to 3pm. North Kelvin Sports Development Group will be hosting their annual October Champions League Football Camp running each day from Monday 15th - Friday 19th October at 10am - 3pm. Only £15 for members and £25 for non-members. North Kelvin Sports will be hosting their annual Easter camp starting on Tuesday 3rd April and will run until Friday 13th April 10am until 3pm each day. We will have all the usual fun and games to keep all the kids excited over the 2 weeks and we hope to see all the usual faces and hopefully a lot of new ones.